Inflammatory Bowel Disease (IBD), which is includes Crohn’s Disease and Ulcerative Colitis affects an estimated 1.4 million Americans with over 30,000 new cases diagnosed each year. 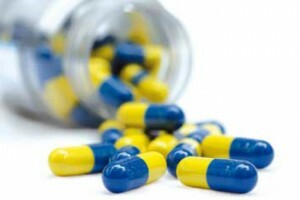 Research has provided more evidence that antibiotics increases one’s risk for developing IBD. This study stated, “Once the researchers took other factors into account, they found that people prescribed lots of antibiotics were as much as 50 percent more likely to get Crohn’s disease within two to five years.” This study was published in the American Journal of Gastroenterology and included over 24,000 people from one of the largest IBD databases in North America. Although antibiotics can significantly alter our intestinal flora and cause imbalance, there is much that can be done to improve this imbalance and heal up the intestinal lining through the use of natural medicine. Are you or someone you know suffering from IBD? Dr. Nate Champion has a special focus in the treatment of IBD and other digestive disorders utilizing a natural, holistic approach.